The York 30kg Legacy Dumbbell features completely knurled, solid steel, thick-grip 33 mm handles. The handles are a little shorter than the original Solid Round Dumbbell decreasing hand travel on the bar allowing better control and bio-mechanically correct movements. for submitting product information about York 30kg Legacy Dumbbell We aim to answer all questions within 2-3 days. 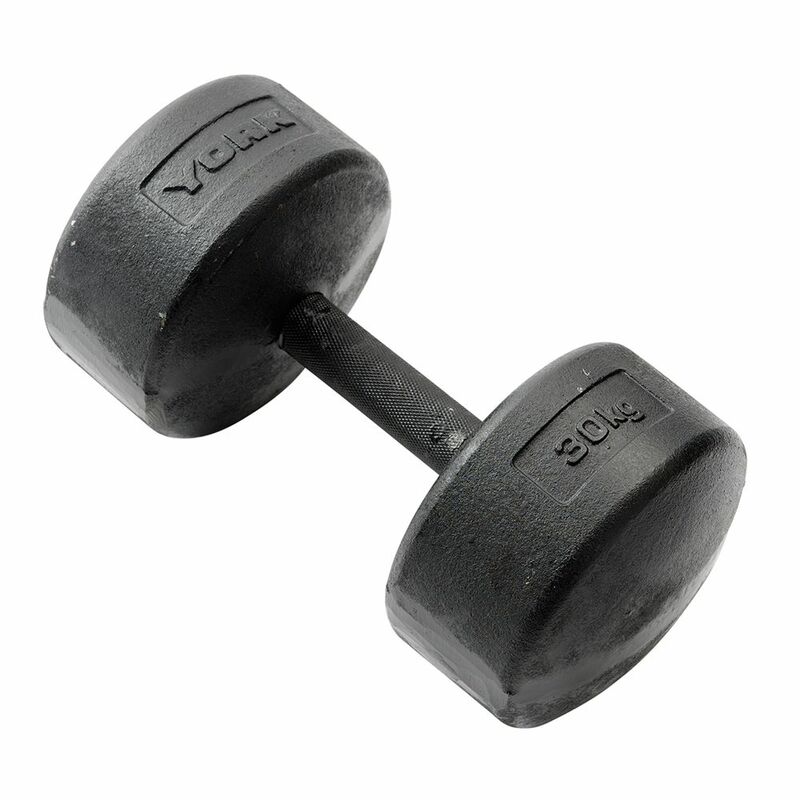 for submitting product information about York 30kg Legacy Dumbbell. We aim to answer all questions within 2-3 days. If you provided your name and email address, we will email you as soon as the answer is published. for submitting product review about York 30kg Legacy Dumbbell.